The place is also known as 'Bharatpur of Maharashtra'. If you are bird lover, you are at the right place. The best month to visit Bhigwan, at the backwater of Ujjani Dam built on Bhima River is Nov-Feb, and peak time are Dec and Jan months. 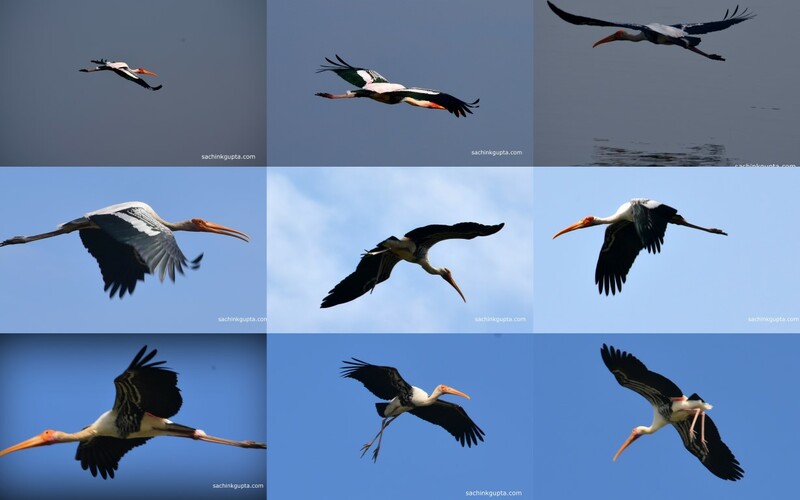 People come from all across India to see these migratory birds during the winter. Early morning and evening is the best time for bird watching. Try to reach by 6 or 6:30 strictly, if you really want to see sunrise and listen chirping of beautiful birds. Morning: 6 A.M. to 10 A.M.
Evening: 3 P.M. to 6 P.M.
Best time for getting some nice and unique shots is early morning as sunlight doesn't disturb the camera lens at this time of the day. Although we knew all of this but sleep took the priority over photography and we started bit late in the morning i.e. by 6:00, and saw sunrise on our way to Bhigwan. Luckily we got to see few birds flocking in the morning itself. Bhigwan is 100 km away from Pune, approx 60 km from Satara, and approx 100 km from Solapur. 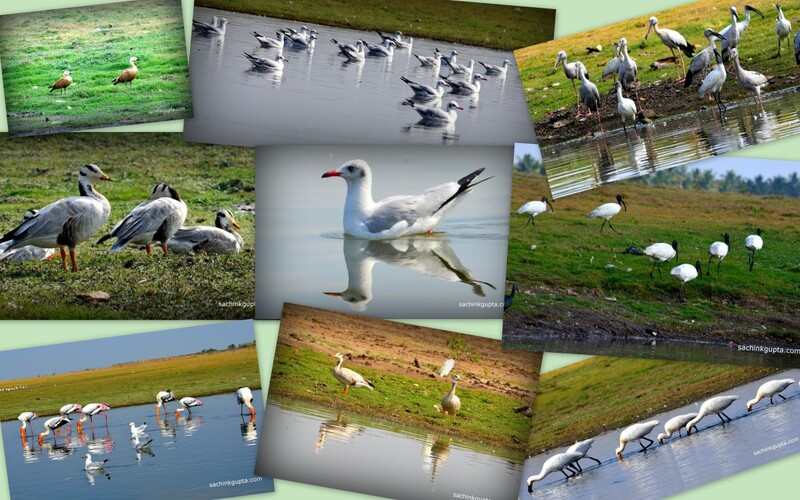 The place is also known as 'Kumbhargaon Bird Sanctuary'. We reached a point where very few cars were parked. There are two main famous points - Kranti Flamingo Point, and Agnipankha Flamingo Point, which offer boating services, accommodation, and overnight packages too. One can also opt for overnight stay in lakeside tents. I got to know that Kranti Flamingo Point India is registered to Maharastra Tourism in 2014 under MTDC Bhigwan. Boat service varies from 10-20 people, ranging 100 INR to 200 INR per person depending upon the location from where you start. Watching sunrise and sunset over the lake from boat would surely be a wonderful experience. 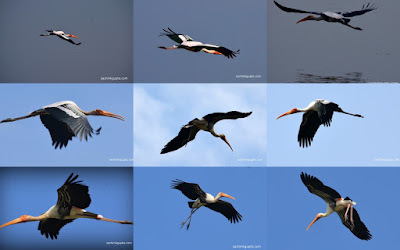 As against the earlier plan, we reached to a less crowded place, parked near the bridge and headed for photography with our armor - Nikon D5100 and Canon :) We started taking few snaps of birds flying over the bridge. At the same time few birds were flocking from one end to another. There are many locals who offer boating for 2-4 hours. We booked a boat with a local person from this place only. We also luckily got a team of 3 people who knew a lot about birds, their features, habitats, and more. They were more than the guide to us. They were even discussing and explaining which ones were male, and which female. We didn't follow other boats and went ahead to chase idle and undisturbed birds. Try to avoid Saturday and Sunday as because of crowd, birds fly quite far off at times. If you are a bird watcher, go in small group and maintain silence to enjoy treat to eyes. Its really bird heaven on earth for those! One of the main attraction is to adore pink greater flamingos. We kept moving till the point we finally had glance of flamingos. At few points our boat-rower had to drag the boat standing in the water. We were lucky that flamingos didn't fly off by that time. We were so close to flamingos that we could take reflection images of flamingos too but all were sleepy heads by then. One thing to observed that flamingos stood on one leg and slept in a very unique manner. My Nikon D5100 with 55-300 mm lens were good enough to capture few of the flamingos. Flamingos were so lazy that they were rarely moving their neck. We waited for long for their movements to get different posture photographs. Go for higher range cameras, if you wish to take more closer photographs. We saw many people having bigger cameras and binoculars for long distance bird watching. Many people rent bigger lenses for this purpose. 'Patience' is the key, which will help you take good photographs. 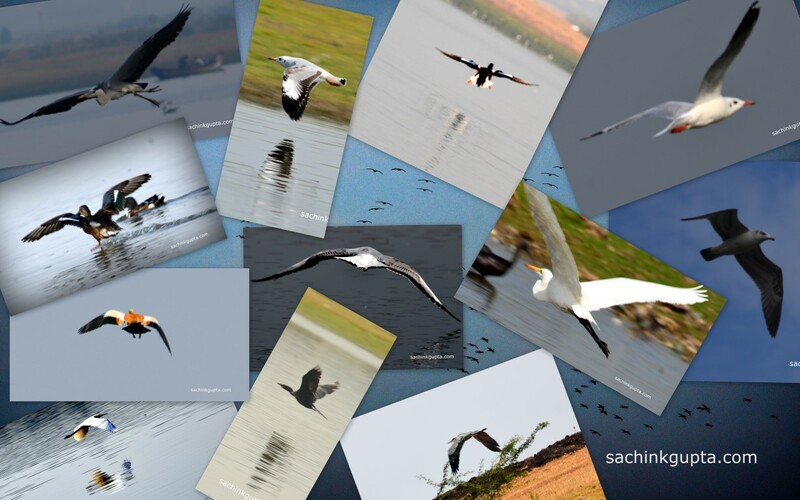 Boating in itself was fun and worth, and chasing birds adds more fun, if you really have patience. 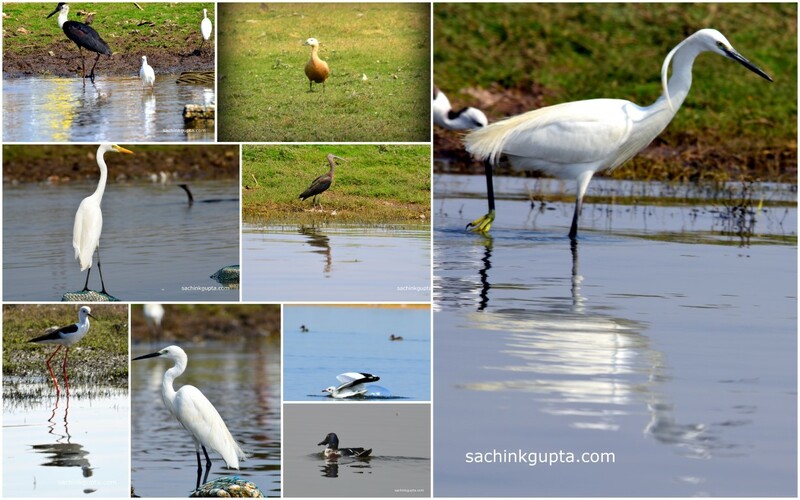 Many of the birds were seen swimming in open water or walking across waterside grasslands. Many a places the color of grass was a mix of green, light red, yellow, brown while having sunlight and cloud shadows on it. Few other smaller birds can also seen flying at time to time like Kingfisher etc. Few of them were found in small groups. A few of them were spotted romancing and a few were busy catching fishes and insects with their long beaks. Many boatmen threw fishes in the water to attract more birds nearby. I just can't believe that we have such an amazing place to visit near Pune. 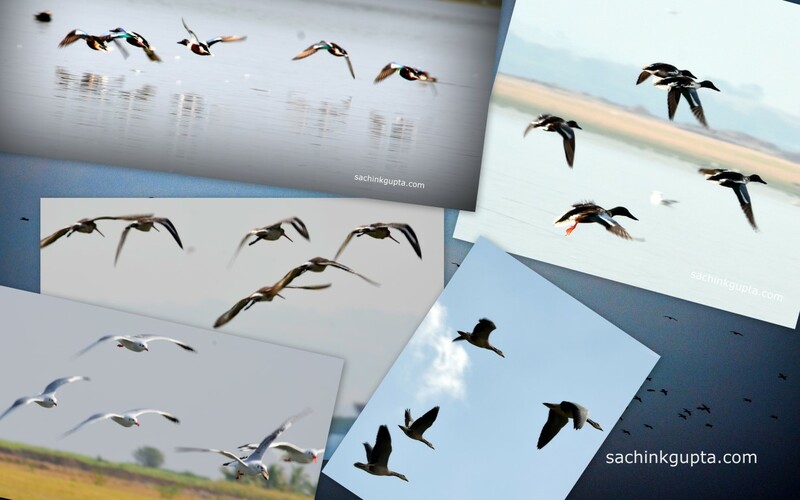 It is really a paradise for a variety of native and migratory birds around the picturesque lake. Do visit before they leave i.e. before mid March. Hope to come again and chase birds during sunset. Nice details and amazing photographs of birds. Last reflection one is superb. We are planning tomorrow to visit Bhigwan. Very nice photographs of Flamingos and other birds. Can we visit Bhigwan this weekend?